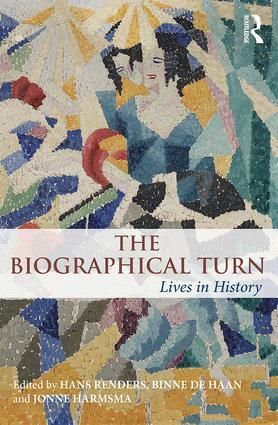 The Biographical Turn showcases the latest research through which the field of biography is being explored. Fifteen leading scholars in the field present the biographical perspective as a scholarly research methodology, investigating the consequences of this bottom-up approach and illuminating its value for different disciplines. While biography has been on the rise in academia since the 1980s, this volume highlights the theoretical implications of the biographical turn that is changing the humanities. Chapters cover subjects such as gender, religion, race, new media and microhistory, presenting biography as as a research methodology suited not only for historians but also for explorations in areas including literature studies, sociology, economics and politics. By emphasizing agency, the use of primary sources and the critical analysis of context and historiography, this book demonstrates how biography can function as a scholarly methodology for a wide range of topics and fields of research. International in scope, The Biographical Turn emphasizes that the individual can have a lasting impact on the past and that lives that are now forgotten can be as important for the historical narrative as the biographies of kings and presidents. It is a valuable resource for all students of biography, history and historical theory.